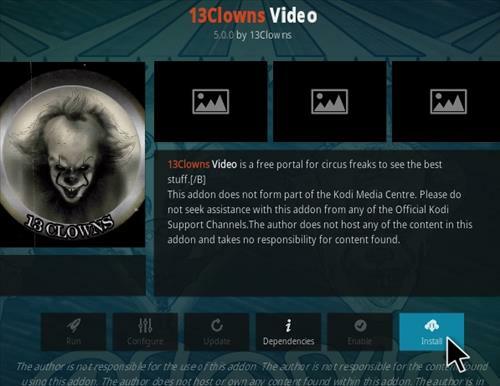 13 Clowns is a Kodi video add-on from 13 Clowns Repository that had gone down but is back and updated with a new URL. 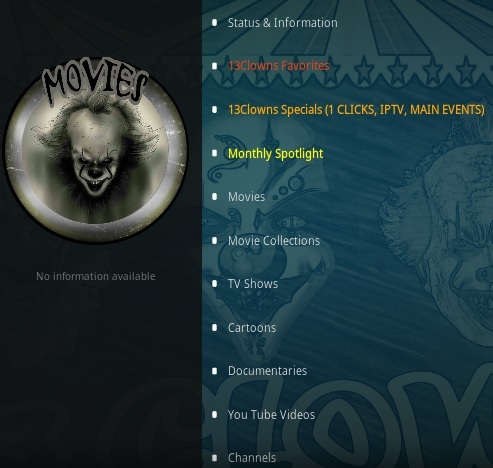 It includes 13 Clowns Specials, Movies, TV shows, Cartoons, Documentaries, YouTube and more. It is using the Open Civitas Scrapper Settings and working very well pulling many HD 1080p/720p links as well as standard streams. The repository has a new URL so be sure to update if you still have the old one. 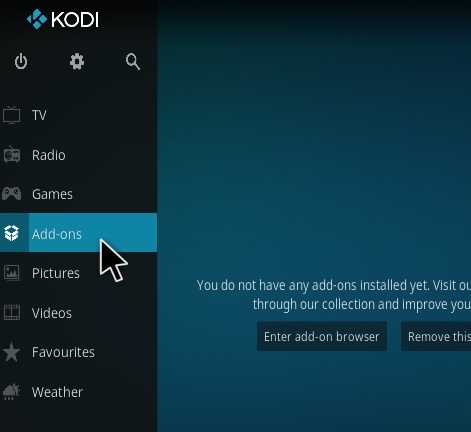 Using a good VPN with Kodi is always suggested for privacy and security. 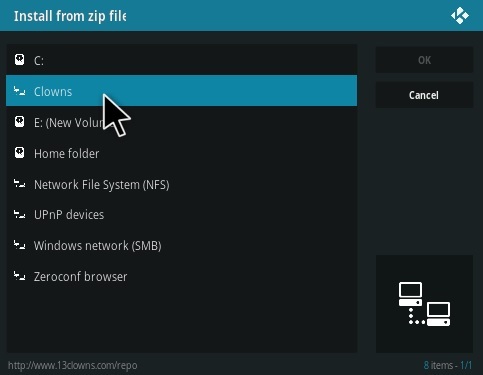 If you need a good low cost VPN to use with Kodi Try IPVanish or Express VPN with both having multiple high speed servers with no throttling or logs. How come when I installed I got Indigo force loaded? 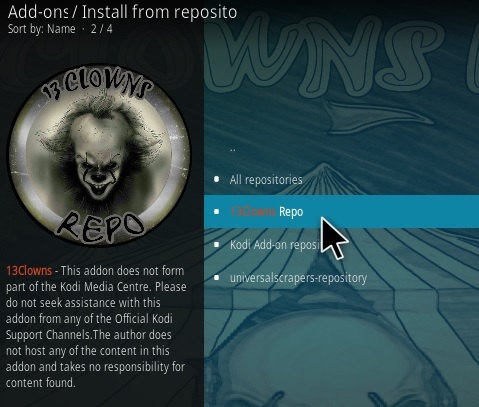 And TVADOONS repository is in the file. 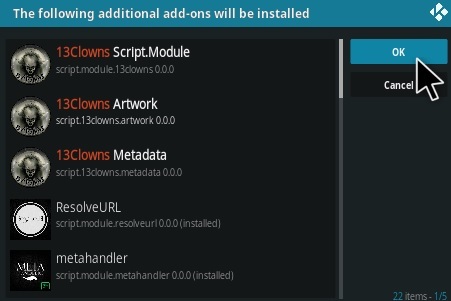 Current 13Clowns installment has been hacked. 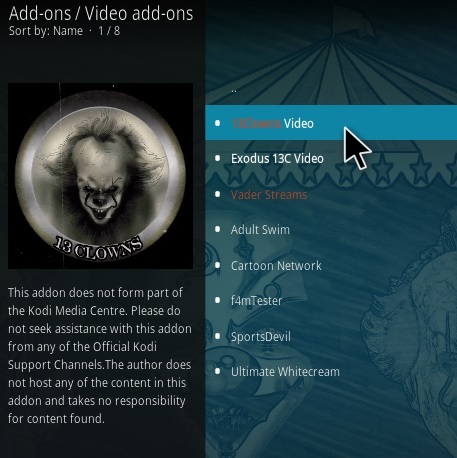 Exodus en TVAddons is forced installed upon us. 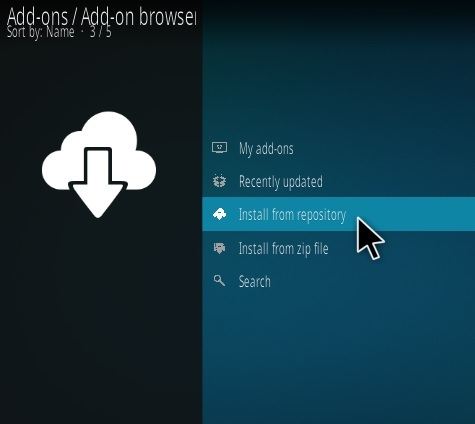 I installed Aps run successfully on an androidTV box. However I could not get to play multi channel audio. 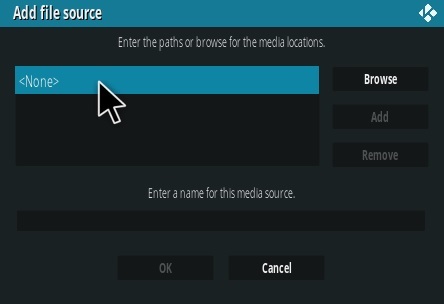 It says audio stream is undetermined and defaults to ACC 2.0 channel. Now I can play 5.1 dolby files using built in player of the TV box. 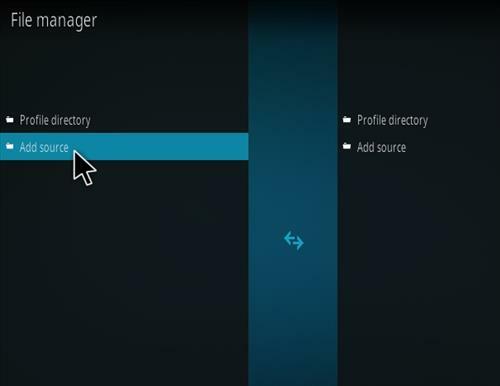 I tried changing to 5.1 in system and enable pass through. It does not work. An I missing something here? 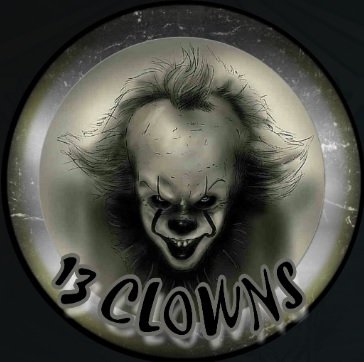 For those who experiencing issues with 13clowns. This addon is incredible. It works fine here. Tried to install. Got error saying check log for more information. Checked the log and there was nothing. My fearless MMA addon isn’t working. Is it made by you? How can I make it work? 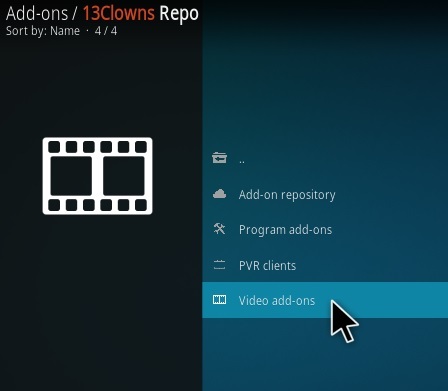 I downloaded 13 Clowns on my new 4k firestick last night and it works like a dream…but when I try to download it to my fire cube I keep getting Could not connect to repository. I tried both the old & new locations. No luck with either. Any suggestions? 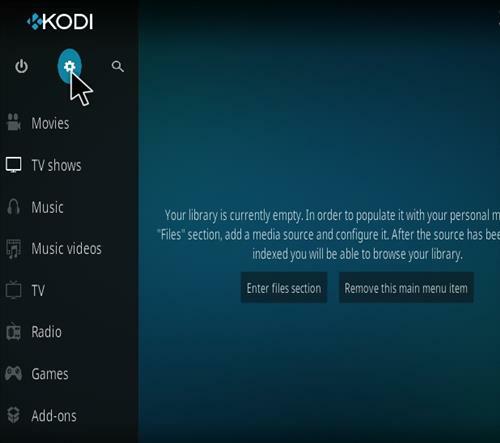 i’ve installed thes addon but when i try to wathc any movie or episode, some of the servers don’t work. Openload doesn’t play any movie or episode. Are you pairing or using a sub? 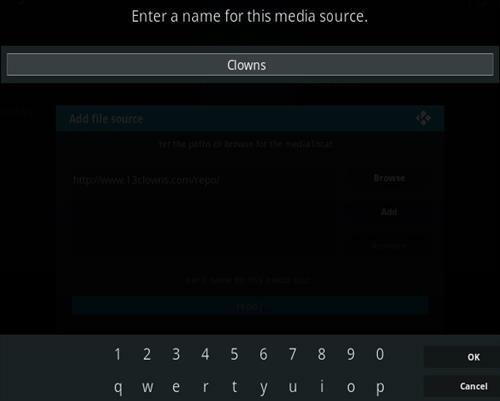 I have happily had 13 Clowns on many of my devices since November 2018 and recommended it, heartily, to anyone using kodi. I had a couple of more video add ons I wanted to add this or Zanni to, and was happy to find it at it now currently at github. It works like a champ out of the box. i survived Catholic school and later the military, 50 years ago, so the clown is no big deal to me. Question. 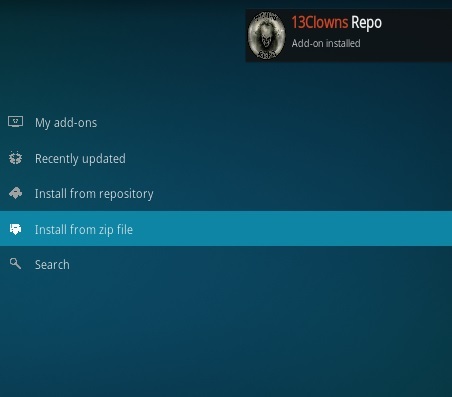 Is this an update and is it necessary for me to uninstall/reinstall 13 Clowns/Zanni? Thank you in advance for your answers. It’s an update. Zanni is on hold and will be pulled from repo. 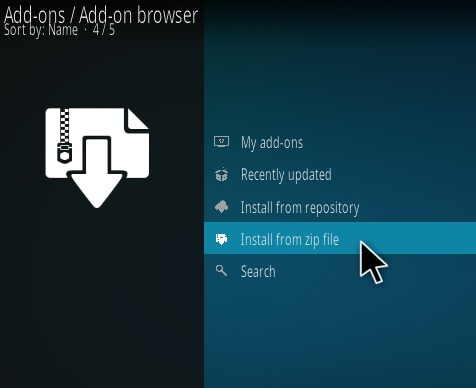 You should not need to fresh install. @Clown man, thank you for your response. 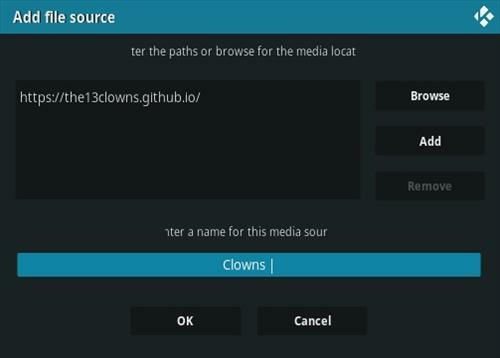 The 13 clowns and Zannni video add ons are working out really well for me with my straight kodi builds and my 3rd party builds like Durex. I’ve encouraged a couple of new fans to 13 Clowns and Zanni. Although I couldn’t find any info about the “Wizard”, I decided to give it go and experiment with it, in Portable ModeI, on a Fresh downloaded copy of v17.6, in Windows 7(pc). After the Forced Close, I did let it take all the time it needed to load everything. My customizations, in Settings, went smoothly. It looks interesting and promising. When opening the Wizard or say”Movies”, it seems to take a lot of time to load content…more time than what I have experienced with other, regular or 3rd party, builds, on my pc. Any input to offer on it? Should a vpn absolutely be used with the wizard? Does the wizard use torrents? Is there any seeding involved? I was quite pleased to see that it only uses 359 mb on my 7 pc. So ideally, it should be fine on a Fire Stick. Thank you in advance from a 13 Clowns fan. Wizard and builds need updating. In the next couple weeks they will be. 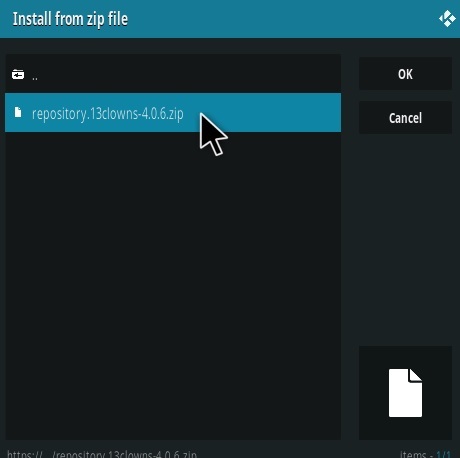 The repo was moved to github and the tutorial above shows the old location for repo. Suggest you install from git repo and report back. In a browser.. 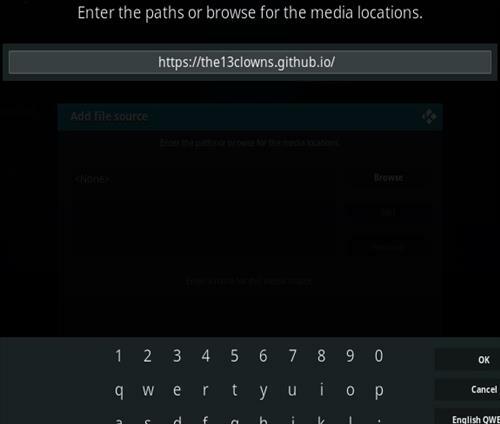 Try to connect to ur RD account.. “https://real-debrid.com/vpn” this will check if RD accepting your IP. There is also a new update in URLResolver that will require re auth RD again.. and recheck Lambada scraper is enabled after update. Add on is working well..
tried to install 3 times. it says a dependency failed to install. please explain “Configure Lambada Settings” as stated above. where do i find that? 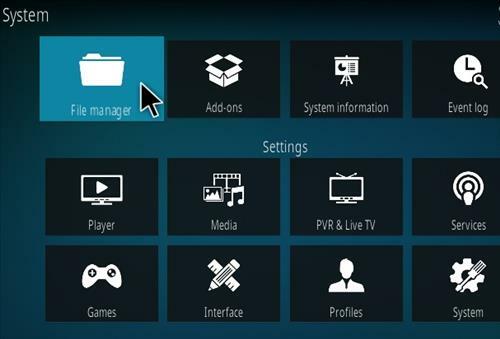 This was a Kodi issue a few days ago. 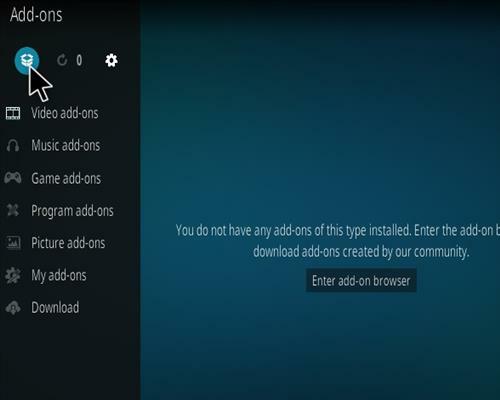 Hi installed on Kodi 17.6 with OS 7.1 on android box. I authorized RD account it finds tonnes of 1080 & 720 links BUT cycles thru them to get no streams error. Or it stops and plays 1st free link. Have same issue with Exodus Redux too. Hi Ben K. I had the same problem so here is what I did to get it to find stuff. Click on “Configure Lambada Settings” then click “Enable all Providers” (for current module). Then do your search. It will find a lot more and connect. I am assuming that if you don’t do that it is trying to find stuff that will autoplay but not sure. When I changed the settings I did have to pair but found an HD one. I did my search for Breaking Bad even though I wasn’t going to watch it. I picked a popular TV show figuring it should work and did for that. it dozo not work it no good.